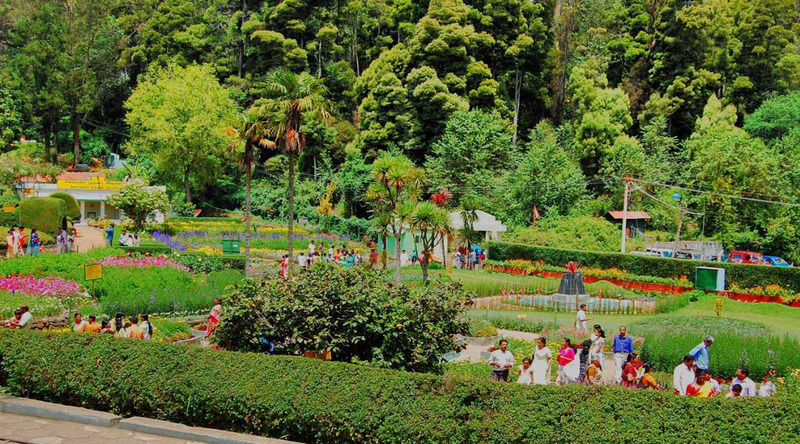 One of the many elements that add to the serenity of Kodaikanal is the infamous Bryant Park. Situated on the eastern side of the Kodai Lake, the park is bejewelled with various species of plants and shrubs. They vary in a range of flowering plants, hybrids and grafts. Once you've had a stroll on the Coakers walk, the pathway will lead you towards the park. It is a popular spot amongst families as they can set up a picnic area in the park and watch their kids run around and tumble in the grass. The park also educates and trains students of Ornamental Horticulture as it is also recognised as a demonstration centre. Bryant Park is a popular attraction amongst tourists and locals alike. One section of the park is dedicated to an exotic rose garden that prides itself on the unique and rare species grown there. There is also a greenhouse where plants from all around the world thrive. The park also hosts an Annual Horticulture Show that draws gardening enthusiasts and horticulturalists. In the 2017 edition of the show, green roses were the main attraction that drew people from all over the country. Kodaikanal is deemed as one of the most serene places in India and Bryant Park hugely contributes to that title. Famous For: Tourism, Biology enthusiast, learning and Photography. Entrance Fee: Entry fee for adults is a minimal of 30 INR per head. For children, the fee is 15 INR. You would need to pay a fee of 50 INR to carry out still photography. Visiting Time: The Park is open on all seven days and the timings are from 9AM to 4PM. Visit Duration: People generally spend 1-2 hours in this place. However, a detailed visit to might take upto 4-6 hours. A tourist spot like Bryant Park not only freshens up your mood but also enhances your knowledge about nature and natural species. If you are someone from Biology background your vacation trip might actually turn out to be really informative one. Try to visit the park during the month of May, there’s a flower show which takes place during this time. Though it might be a bit tiring but it would surely be a treat to your eyes. If you are a botanist, it is advisable to note down the important species of plants ad their details, might of some real help to you. Enjoy the Flower show and the dog show. Stroll around the park with ample amount of time to catch up with the essence and beauty of the place. Enjoy the joyful rides and boating facilities available there. The winter months (November to February) get chilly. The temperature falls sharply but if you enjoy the cold, it will make up for a great vacation. During the months of March to May, the temperature is a little higher with occasional rainfall. Sight-seeing is best during this time of the year. The monsoon witness’s heavy rainfall and most tourists try avoiding this time. If you are looking to spend some quiet time, rainy season is the best. The atmosphere is wonderful with fresh air and greenery all around. The nearest airport to the Bryant park, kodaikanal is Madurai Airport which is at a distance of about 120 kilometers. From there, you can take a bus or book a cab to reach the city of Kodaikanal. The park is near about 21 kilometers from the Kodaikanal bus stand. The transportation facilities are smooth and this being a famous tourist place one wouldn’t face any transport related problem at all.If you are planning to travel by train, the closest railway station would be Kodai road which is a distance of 80 kilometers. It is named after the famous park in Manhattan, USA which is spread across 906 acres there. The park in Kodaikanal is spread across 20.6 acres housing unique botanical species. This was landscaped in the year 1980 by British army officer Glent Bryant. The variety of species in the park extend to a limit which is like 350 types of trees and 740 variety of rose plants. If you are planning to visit Kodaikanal, which actually has ample number of tourist spot, then make sure to have this spot on your list. Located between Coakers walk and Kodai lake, this park is an epitome of serenity and beauty with a touch of the colours of nature. This place is sure to give you some peaceful hours spent in the lap of nature, something which you surely don’t get in your daily messy scheduled corporate lives. Happy retreat!